Take part in our new weekly lottery from just £1 per week and win up to £150 every Friday and also be included in our bonus draws in June and December where you could win up to £1000. Just in time for summer holidays or Christmas shopping! By playing in our lottery you will also be helping support our vital Family Support Service. Every week, our central computer randomly selects the winning lottery numbers. If your unique numbers are selected, you will win one of our great weekly prizes. 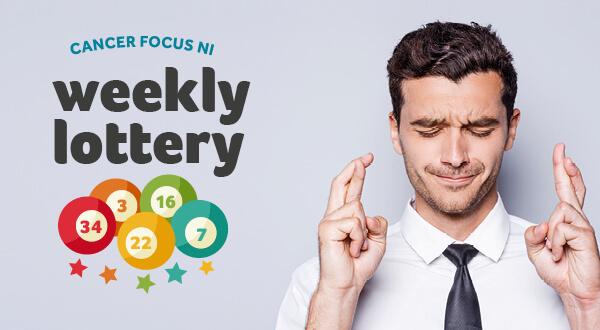 Sign up for the Cancer Focus NI Weekly Lottery and receive your personal number(s) which remains yours for as long as you want to play. It is unique therefore belongs to you only – no need to split your winnings with anyone. Plus you will be helping local people affected by cancer, right here in Northern Ireland. Cancer Focus NI lottery winners are drawn every Friday by the Independent Computer Bureau which selects ten prizes worth a guaranteed total of £240 each week. Winning numbers are published on our lottery results page but, if you are a lucky winner, we will automatically send you your winning cheque in the post. Why wait? 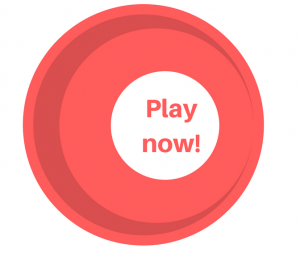 Simply click on the big, red PLAY NOW button below to purchase your lottery numbers via Direct debit. You can also call the Lottery Office on 028 9068 0745 to pay by debit/credit card where you can buy one entry for just £1. Remember, every time you play, Cancer Focus NI benefits because it receives income from the lottery that is directly used to support our Family Support Service. You can now play our weekly lottery in our high street shops. Just ask a staff member for further information when you are instore! Hear what Sarah from Lisburn, our most recent £150 winner, has to say about it! £1 per entry. Players are limited to two entries per week and payment must be made in advance by one of the methods permitted. Drawn each and every Friday. Must be 16 or over to play. Underage gambling is an offence. Licensed and regulated by Belfast City Council. Licence 285. Website: www.belfastcity.gov.uk. Promoter: Cancer Focus Northern Ireland, 40-44 Eglantine Avenue, Belfast, BT9 6DX. Registered charity no.NIC101307. Responsible Person: Ollie Govett. Full Terms & Conditions can be obtained from the Lottery Office at the charity address above.